One fun way to customize your bag is with embroidered patches. Do a quick search online, and you'll find a vast array of pre-made patches for sale — including your favorite sports teams, schools, clubs, places you've visited, special interests, and so much more. We invite you to send us your favorite patch (or bring it with you to our factory store), and we'll sew it on your bag as it's made — so it's nice and clean, secured with colored thread, with no exposed stitching on the backside. Make sure your patch has a simple border (round, oval, square, rectangular, triangular, etc.) to ensure we can sew it to the bag. We've created a listly of our favorite places to get patches. 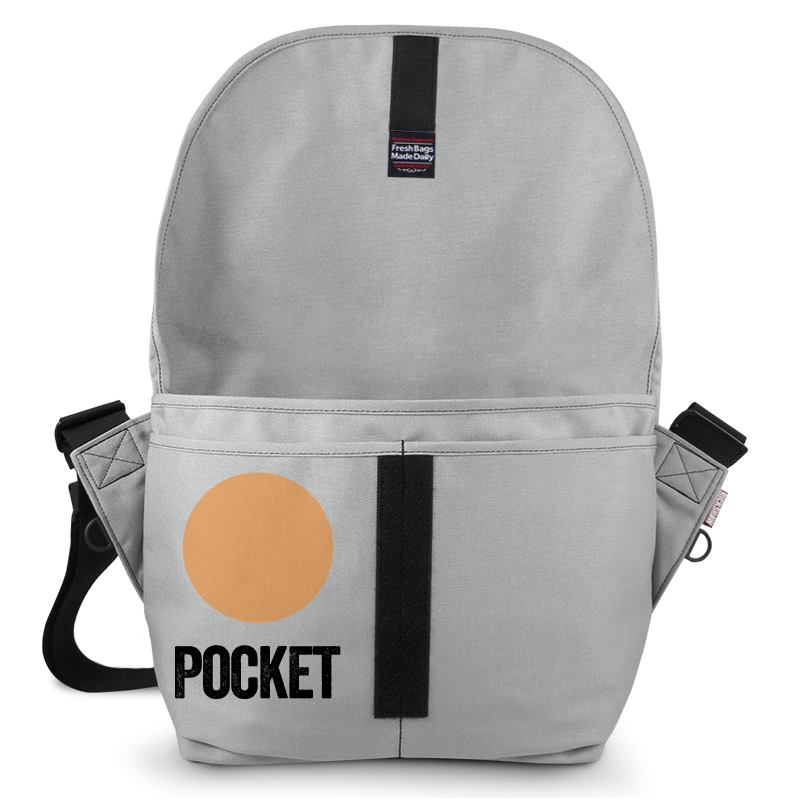 Patches are added during bag assembly, so this option must be ordered with bag purchase. 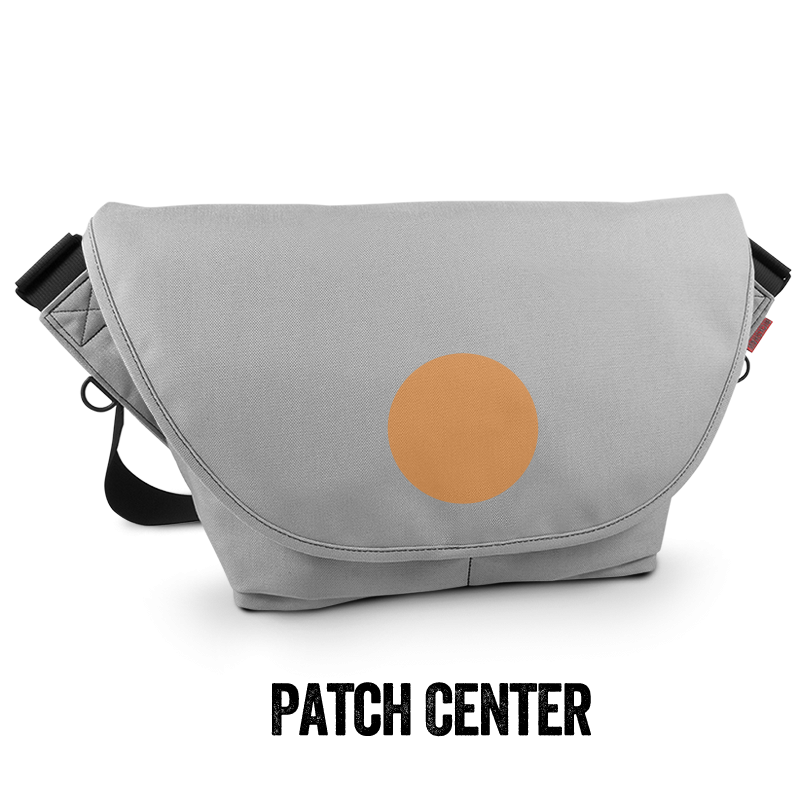 PLEASE NOTE: Adding a patch makes your bag or sleeve custom, so it cannot be returned. If you order your patch on-line, you can have it sent directly to Rickshaw to save a little on postage. When you place your bag order, include "Add-A-Patch", and the quantity of patches you will be providing. In the "Comments" field, give us a brief description of location -- left, center, right or pocket. 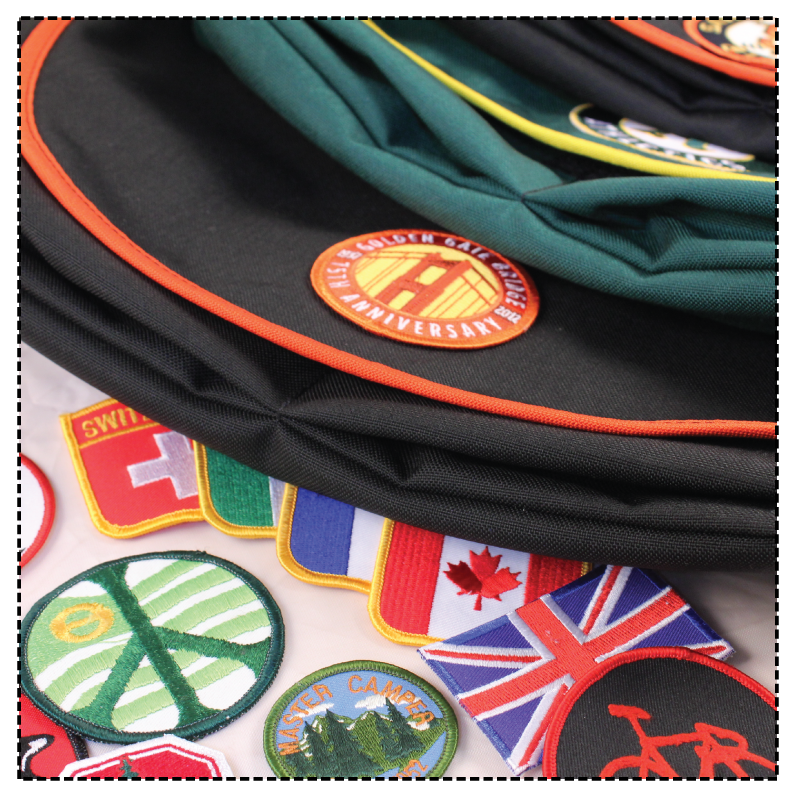 When we receive your patch (or patches), we'll make your special new bag. We can only apply patches with simple borders (round, oval, square, rectangular, triangular, etc.). Please avoid patches with complex, irregular borders — these are generally intended for iron-on application to cotton fabric — and not for sewing — and they will not adhere to our nylon and polyester canvas. "The patches were perfectly sewn ..."
The patches were perfectly sewn in the right places, what more could you ask for? My patch was added EXACTLY where I wanted it. Just send a sketch and it will be done!